DENVER, Oct. 19, 2016 /PRNewswire/ -- TeleTech Holdings, Inc. (NASDAQ: TeleTech) – Customer service has come a long way in a relatively short period of time. Prior to the 20th century, customers who had a problem with a product traveled by foot or horse to the store to resolve the issue face-to-face. Fast forward to the 21st century where customers now reach out for support via social, media, mobile, video or self-service. Despite these channels and other technological advances, it's not clear whether sophisticated support capabilities will be enough to improve lagging customer service rates. According to Dimension Data, 70 percent of executives recognize customer service as a competitive differentiator, yet customer service satisfaction levels have dropped for four consecutive years. Each quarter, TeleTech publishes its latest thinking in its executive journal, Customer Strategist. 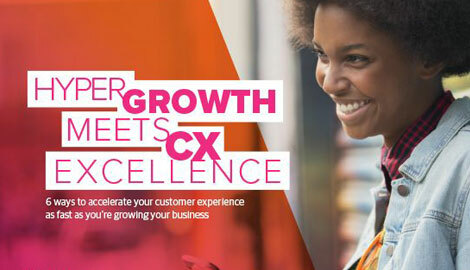 It features new ideas, best practices, and real-world examples of customer experience excellence in action. "In this issue of the Customer Strategist, we examine where customer service has been, and where we're headed. From culture and mindset to mobile apps and even virtual reality, there are many areas of service that are ripe for improvement," said Elizabeth Glagowski, editor-in-chief of Customer Strategist Journal. "Whether you're a start-up or a steadfast brand, there's always opportunity to advance how you connect with customers. We highlight lessons to be learned from customer service failures and detail what makes interactions so special to customers and associates." The Customer Service Experience – Make it Easy: Rising customer expectations are pushing companies to deliver better and more intelligent service with better technology. Simply Put Your Mind to It: A customer-focused workforce at all levels of the organization enables exceptional performance. Seven Customer Service #Fails That Yield Insights: What looks like a mistake today could lead to a breakthrough tomorrow. Customer Experience Moments of Wow: What makes experiences stand out as wow moments for consumers and employees, and the strategies behind them? Other articles include how app-only Atom Bank strives to meet the changing banking needs of mobile customers, ways to apply best practices of Silicon Valley to enhance customer experiences and retain employees, why U.S. economic indicators signal a changing customer experience business model, how Bridgestone upends perceptions of a visit to the mechanic with a customer focus, and ways personal robots are just the beginning of the future of customer service. Available online, in print or via mobile device, Customer Strategist is published quarterly and provides executives with insights that lead to innovative strategies for building more profitable customer relationships. It facilitates learning and action by presenting the most progressive thought leadership and providing access to the proprietary methodologies of Peppers & Rogers Group and TeleTech.